There has been an exponential increase in the amount of information available on the pathophysiology and management of heart diseases. Meanwhile, understanding of the underlying pathology and physiology has deepened and broadened with new methodologies to monitor cardiac structure and function. These developments have led to an overwhelming amount of information available to students, trainees, and physicians. 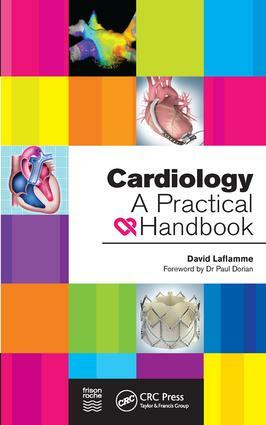 What is in short supply is a comprehensive yet concise and clear description of the important cardiac conditions and disorders, an approach to their management, and an easily consulted and well-indexed summary to be used at the bedside or in the clinic. This book addresses that need. Cardiac diagnostic assessment. Coronary artery disease and myocardial infarction. Heart failure. Valvular heart disease. Diseases of the pericardium and myocardium. Arrhythmias. Adult congenital heart disease and heart disease in pregnant women. Peripheral vascular disease. Cardiovascular risk factors and other heart diseases.